Shrimpy is an automated crypto trading & portfolio management tool that lets users automate their crypto portfolio strategy like a traditional index fund. Shrimpy has a consumer application for retail consumers and a Crypto Trading API for developers and advanced traders. 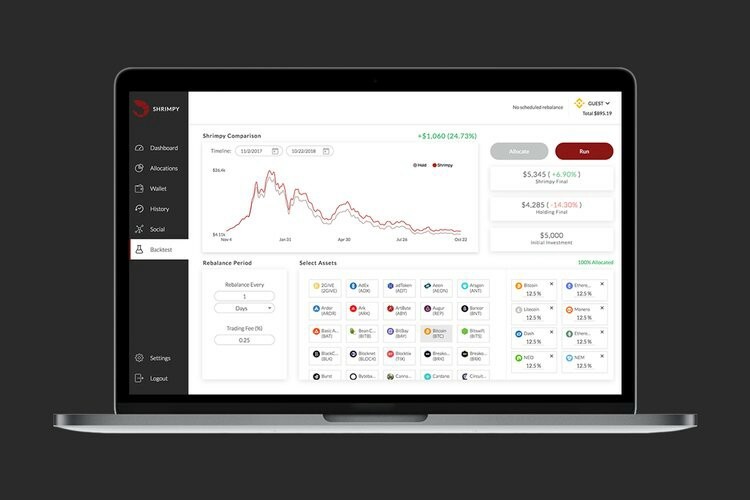 The Shrimpy App is a portfolio management solution for cryptocurrency and digital asset owners. Through its unique indexing and rebalancing engine, Shrimpy lets traders manage their crypto assets similar to that of a traditional index fund. By providing a simple passive management solution, Shrimpy provides users with an effective long-term solution for managing their crypto assets without ever having to trade. Beyond the consumer app, Shrimpy also offers an API for developers looking to integrate scalable exchange trading functionality into their app. Shrimpy’s Crypto Trading API was created as a cloud-based solution to address several crypto developer roadblocks including Exchange Trading, Product Scalability, and User Management. With Shrimpy’s API in hand, developers can focus on creating the next era of groundbreaking products that will shape the future of crypto. Shrimpy’s API is readily compatible with the following exchanges and API endpoints: Binance API, CoinbasePro API, Bittrex API, Kraken API, Gemini API, Poloniex API, Huobi API, KuCoin API, Bibox API, BitMart API, and HitBTC API. Traders and developers can leverage Shrimpy’s existing trading infrastructure for trading platform/app development instead of having to manage connections to each and every exchange. PREVIOUS POST Previous post: Hey Jon, We are building our own CMS.